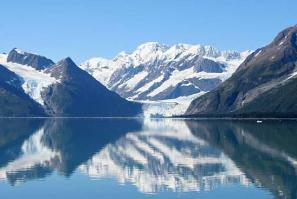 With its 3,000 miles of shoreline and islands that form a natural breakwater between the Sound and the Gulf of Alaska, Prince William Sound is one of the most scenic archipelagos in the world. Surrounded by the Chugach Mountains, it hosts the largest gathering of migratory birds in America. The Sound is home to an abundance of marine mammals, such as orcas, Beluga whales and Pacific white-sided dolphins, as well as seals, sea lions and otters and is an annual gathering place for hundreds of migratory birds; two birds that thrive on the western end of the Sound to look out for are the wonderful horned and tufted puffins...we hope you catch a glimpse!